Whether you’re a copywriter, marketer or online store, ReadablePro gives you the power to make every word count. Yes, we want to give you free access to our text tool, forever. But you have to sign up with your email to access it. 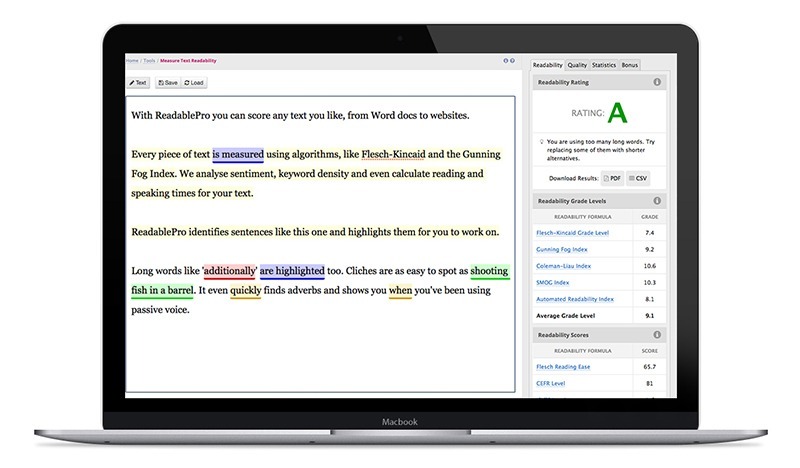 Test your reading and writing level, then give your content a boost with ReadablePro. 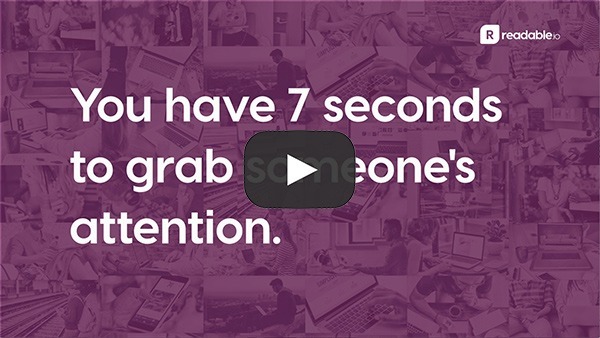 Create clear content as a team and boost your online engagement. There are several algorithms available for measuring scores, and these use factors like sentence length, syllable count, the percentage of multi-syllable words and so on to calculate their own readability score. Does this only work with English? What algorithms do you use?